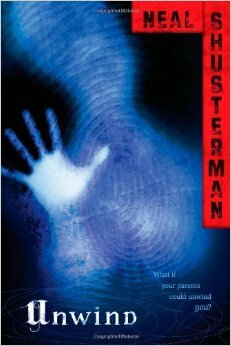 The Book Unwind is a thriller written by Neal Shusterman. This book is fiction and tells an interesting tale of three young kids on the run to escape being unwound. A problem society has become accustomed to and is a result of a second civil war. Being unwound is basically using kids who are parents don’t want, or choose to have , get sent off to get their vitals taken out and used for other people. It is more of a dark book but is a real thriller , in terms you can compare it somewhat to a hunger games but in normal society like our own. This book kept me on my edge with unexpected events happening every page I read. As well as the flow between all the characters gives break enough to keep the reader wondering about what the other half is facing. If your into fiction and like a semi dark story this is the book for you. It will keep you interested from beginning to end and will make you more connected with these characters that are just the same as us. 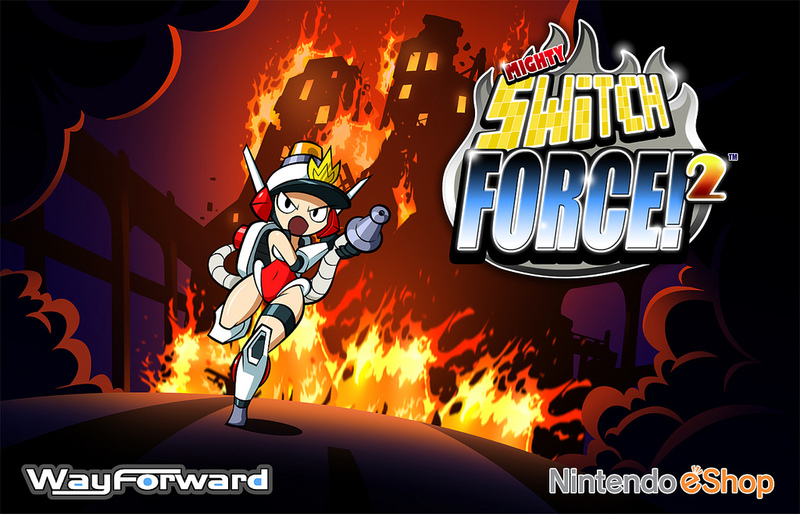 I’d like to recommend a really good platforming game for the Nintendo 3DS and Wii u called Mighty Switch Force! and Mighty Switch force 2!. The game features a cyborg officer called Patricia Wagon who’s mission is to collect escaped criminals, by platforming and blasting or dousing enemies. The main goal of switch force is to beat the stage by switching platforms on the screen and blasting enemies to obtain the criminals that have escaped through out the stage with in the set amount of time. Platforms are switched and things switch up when in Switch force 2, this is when she becomes a fire fighter with new elements implemented into the game .Features such as putting out fires and overloading enemies with water,as well as her blaster becomes a firefighter hose. Both games are featured on the Nintendo 3ds but also have a Hyper Drive edition with a slightly different art style and remixes of the 3ds soundtrack. This a very fun game but has a phenomenal soundtrack , I find myself listening to both 1 and 2 soundtracks, They give off a mixture of 8-bit, EDM and Dubstep. If you don’t have a 3ds or wii u I highly recommend you buy this soundtrack is is amazing! They have been on sale recently for very cheap as well. Here are the trailers for both games! One of the things I love doing it reading Manga. It is one of the things that is really interesting since its basically Japanese comics. Here are a couple of Manga I suggest you read that are pretty good in my opinion. This series has several different arcs spanning over the whole video game franchise. For instance there is Red and Yellow arcs based on the name of the video games and each have their own unique personality and storyline! The best part is the stories all cross together eventually bringing together the big picture! and plot for the Kanto and Johto Regions. The reason I suggest this is that it give a new spin to the classic video game plot. The art style is literally too perfect in my opinion , it gives the classic art style of the original red and blue games and reminds me of the classic hand drawn art styles of back in the day in comparison to today’s computer animation. 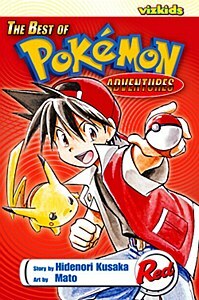 If your a Pokemon fan looking to revisit a classic story with many plot twists and interesting new spins on characters, Definitely check this out it Spans a lot of arcs and volumes. This story is a relatable tale of trying to find acceptance. The story consists of 4 human children that were mysteriously born with animal abilities such as the ability to have crow wings to fly. These Children go forth on a journey just living live and trying to find a place to call home. Through these adventures they meet more +Anima and tell a lot of the back stories of these children and why they have mysterious abilities. It it extremely interesting an I found my self relating to the characters and always anticipating what would happen next in the story line! This Manga spans 10 volumes. 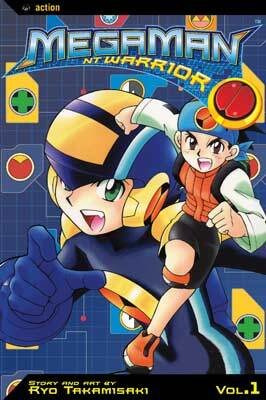 The basis plot is the story of Lan Hikari a Net battler that participates in a lot of battle and competitions, Until problems occur on the Net due to the various main antagonists, together with his friends Lan and Megaman try’s to restore peace to the Net! This story is interesting because of the various sub arcs that happen in the manga , from the classic WWW or Dr. Wily’s arc , to Nebula’s arc and the Cyber Beast arcs. Each have their own unique story line and many amazing transformations and abilities! The story is very action packed and spans around 13 volumes. I have always been a Kirby fan since I was a child. Iv’e always enjoyed the multiple installments in the handheld series such as Kirby’s Dreamland, Kirby’s Nightmare in Dreamland and Kirby’s Squeak Squad. However I enjoyed Kirby Triple Deluxe immensely. Almost as much as Return to Dreamland and Crystal shards! This new 3DS Installment opened up new graphics for Kirby and the gameplay is just like the Wii Title: Kirby’s Return to Dreamland. The music first off resembles that of Return to Dreamland and Crystal shards for the N64. Music types that are nostalgic to older players who used to play the system such as myself. I spend hours just listening to the games soundtrack. Gameplay- While it may not be as awesome as merging two abilities together like Crystal shards, it definitely proved worthy introducing new abilities such as the Spear ability and the Beetle ability. It also brought back classic ones from the handle held such as Wheel and beam abilities! The actual adventure is shorter than Return Dreamland but it is so much nicer to have Wii style Kirby play on a handheld instead of a 2D gameplay. The game overall itself is also every kid friendly, which is also the reason I like it, the beautiful designs of the stages are very warming and friendly make it an easily enjoyable game to be playing! Cons-Kirby TD’s gameplay is significantly shorter than it predecessor on the Wii. The Story line also wasn’t as involved. With much of the characters from the series appearing at the end of the game instead for throughout. Most of the main bosses are not new most of them return from previous titles. Kirby TD is a great installment that I would recommend to any person who like cute fun games to try out. With it’s simple gameplay , Interesting game plot and overall friendliness it is a great game to pick and just enjoy, whether you fall in love with Kirby, the gameplay of the soundtrack I give this game a 10/10. Spotify is an app where you can make your own playlists and stream music. You can even follow your friends by connecting through Facebook! the app itself has a ton of albums by the favorite artists you love. It also has moods, where you can listen to music based on the type of mood your or genre you’re feeling. This app is free for download! You can make playlists however ,playing individual songs is only available on the computer. Advertisements play every now and then. The app is available for computer and mobile! With premium you get get to stream high definition music. As well as have an ad free listening experience. Select any song on the mobile app instead of having to shuffle through. You can make playlists and songs available offline. Iv’e used this app for about two years now and i can say it’s definitely worth a download.It has a bunch of the artists that are around the world which is nice, because I have a favorite Japanese pop group I love to listen to and all of their music is on the app free for me to listen to. It lets me play specific songs on my computer. Which is pretty nice considering you can’t really do that on Pandora or iTunes Radio. Spotify even lets you try out Premium free for about a week so you can enjoy high definition songs! I use it more on the go than at home so at least you can use it on your phone. If your still on the fence try out premium and you’ll see the nice difference in transition! If you ever find some spare time and want to liven up your room space, Try this fun DIY craft! I personally decided to try it and they came out amazing and are a permanent part of my home bed room decor! Here are some things that you need to get started. My Experience- It didn’t take too long , however it might be better to sew instead of glue gun because of the seams coming apart. Also templates as she says are extremely useful, I find myself sometimes getting uneven several times I try to cut out faces. You also want to get all sides of the face of the glue guns seeing as they could come off as well. Side tip put a lot of stuffing and make sure all the ends of the face are even out! Overall it wasn’t hard , it took me and my friend about $30 and about 1-2 and a half to make but now we have fun pillows! This infamous dress has been taking over the internet this past weekend. What’s so important about this dress? It has to do with our eyes and Color constancy. Basically The dress is Blue and black , however the lighting in the photo makes it look to some people with different eye perception white and gold. This video explains it in more detail. New Nintendo 3DS XL Review! I recently purchased the New nintendo 3DS for myself and it is amazing! 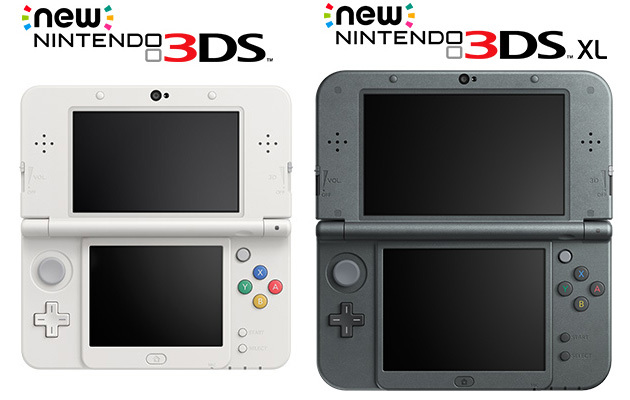 I have the original 3DS and since I purchased it Iv’e noticed a significant improvement and I enjoy it a lot more. With some games my older 3DS system which is the original 3DS I noticed when I was playing games , the system would lag a tiny bit more compared to the newer systems. For instance when I hit the home button, it would pause and take a couple of seconds to react. Face tracking 3D I will admit is one of the reasons I really bought it. Unlike the original 3DS where the 3D has to be held in a certain spot for it to work, The New 3DS uses the accelerometer and new technology to actually track and adjust the 3DS with your perception! This makes people want to use the 3D portion a lot more. Especially when Im playing Pokemon , When I turn on the 3d it lags significantly , but when I play with my new 3DS model it doesn’t lag at all. This is also true with Super Smash Bros. For 3DS. I also feel like customizable themes work a lot more comfortable with the system in my experience. This model will run you around $199 or $212 with tax. If your looking for a 3DS or just want to upgrade I’d high recommend since there is a lot of games that the C-stick can assist with. Not to mention newer games might make use of the faster processor and push the consoles potential even further. The Smaller version with customizable face plates was not released in America ,But the XL version did release in Red and Black Colors. Below there is the North American commercial! Overall I give the New Nintendo 3DS a 10/10! College is a stressful time, filled with due dates, assignments , work and managing your own personal life. These are some tips to help you relax for just about an hour. Overall it will Improve your mood, and most of all take a step back to release a little tension. I personally enjoy video games and watching Youtube. These things help relax me when I feel overwhelmed with the amount of things I’m supposed to do and when I’m done playing games, I feel a lot happier than if I was constantly focused on the task I need to complete. There are many hobbies you can venture into too, the best is trying to go out of your comfort zone and learn something new , like DIY crafts or Collecting things. Creative writing is a really good option to consider as well, since you can let your mind run free and drift away with ideas. Even though most people take showers and are against baths, they really do relieve tension on your muscles. If you take a warm bath with epsom salts, it can relax your muscles and provide some magnesium to your body, which is an essential to muscle performance. When you do something that requires physical movement that is fun, not only does your mood elevate but you end up burning calories and its a natural stress releiver. You can do many things, such as play basket ball Soccer, Dance , Yoga , Longboard and go to the Gym. I know it is probably the first thing people think of when they relax. However some people have trouble sleeping and some even forget to eat. Sleep is one of the most essential things our bodies need. Sleep repairs the wear and tear our body experieinces during the day and allows us to rebuild and grow. As well as eating, it is the fuel that keeps us going and gives us energy so we are not drowsy. Some scents are specific for relaxing people. For instance lavender helps you sleep. and Chamomile and Peppermint is anti-stress, anti-anxiety and as an anti-depressant as well. As well as incense is very popular for a relaxing enviorment. These are only a few tips that can help you relieve some tension or stress in your life. There are many many more to try! Remember that life isn’t always about work and it’s important to take time to enjoy the little things. As some of you know Super Smash Bros. for 3ds came out October 3. However It took me a while to try out the Wii U version. First off, the 3ds version. -This game makes it easier for competitive battling since you can use local communications to play with other parties. -The portability aspect makes it awesome to take Smash Bros were ever you want , and the fact you can play with the 3ds as a controller makes it more console versatile. you don’t need to bring a controller to parties. -Improvements with certain characters such as Pit’s mechanics making him a much better character. -I will say the small screen puts off kind of a disadvantage when seeing where your character is on screen. With everything going it’s easily to lose. -Attacking is a bit awkward too with the absence of a C-Stick, Specials are harder to perform , especially with users complaining about their analog stick pad falling off. ( Happened to me as well). -8-player battles are fantastic, it gives an opportunity for everyone to play at the same time! -The Wii stages are really fun and unique compared to brawl with omega and alpha stages changing the things that happen on stage from basic to interactive with the stage being against you in the battle. -Customizable personal mii characters to fight with! -The downside of it is that there is so many things going on, you can’t see and you can easily get bombarded by another team. -This version of Smash Bros. seems to be a little less reactive , compared to Brawl or Melee. -L cancel is pretty much gone as well. Overall- This game is worthy of picking up , not just for portable use but the fact that it is the next installment in the Smash Bros. series with a lot more improved mechanics. Even with classic music form the original Smash Bros. Game for N64 being used in the results area when a fight is finished. Ask me about anything you need help with or ask me what you should do in some situations. I am here to help in any way that I can and provide you with advice on everyday hardships.